When sourcing products from China or anywhere outside the EU it is worth remembering that quality is not a standard definition, everyone has different quality expectations. In this post, we will explore the process you need to go through if you want to get great quality products when sourcing from China. The first thing you need to determine is what level of quality is needed. The only way to ascertain this is by looking at other similar or identical products and asking yourself if this is the quality mark you want for your product or whether this needs to be improved or potentially reduced. Once you know your quality level, you have a standard for your Chinese manufacturers to hit. We have developed our own procurement system by selecting through tried and tested methods to ensure we get the correct results. This means we have checked at the necessary stages and measures in place starting with factory audits, through to factory visits, PP sampling and production sampling. 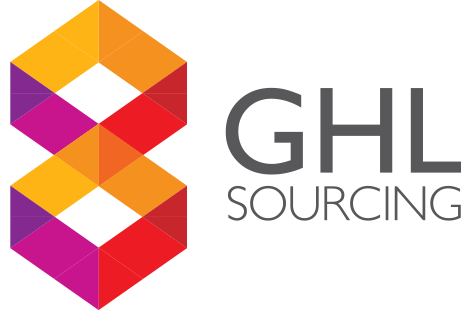 It’s this GHL Procurement Methods that means our client know what they are getting every time. After your initial factory review, the next stage is to get a sample. Sampling is a vital part of manufacturing whether in the UK or in China. Without a sample, you have no idea if the product hits the right quality mark. You have a few options on how to get the sample. You can either post a prototype over to the factory for comparison and they then make a sample for you or you can ask the factory to send you a stock sample of what they already produce. For us, we make this decision based on whether the factory already makes the item or if it’s a new item for them. the quality of their product. Unless your cup has a unique feature, you can progress to production based on this sample. Although we still recommend getting a production sample in your design. After this process, At this point, you will have a RED seal sample. The next step is to get a GOLD seal sample or pre-production sample. This should be identical to the version you want to buy. This will need to made specifically by the factory in their sample room and should have all the necessary labelling and correct packaging. This sample can be used for photography and testing. It’s important to keep a version of this for comparison during production. If this sample arrives and is correct, stands up to testing and is therefore acceptable, you can then place your order. Both you and the factory need to understand the quality level and product that is being bought and manufactured and this process will ensure you are both on the same page. Don’t be complacent though, having all this in place before production is essential but the process doesn’t stop there. Once your order has been placed the next vital step is to carry out a production inspection. This is a visit to the manufacturer during production to check the item is correct and hits the correct quality standard agreed before you placed the order.